January is the perfect time of year to tackle those pesky and seemingly complicated business tools that you’ve been avoiding the past couple of months. Google Analytics has the most complicated and overwhelming-looking dashboard. You may have taken one glance at the platform after installation, had a panic attack, and quickly exited out of the platform. We totally don’t blame you, but we want to tell you something that will revolutionize your business: Google Analytics isn’t complicated. No, we are not drunk; we are totally serious. It just looks complicated. Really. We surely plan to blow your mind with a comprehensive overview of Google Analytics, which will take your promotional products business to a completely different level. If you feel like you’ve mastered a particular subject already, skip to the next, and read on. 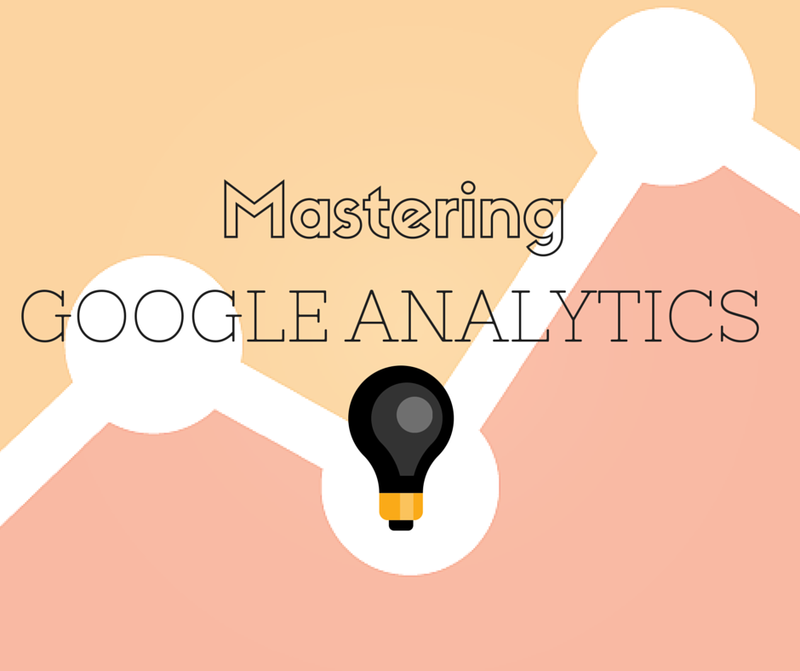 Google Analytics is a overall website management tool used to track the engagement on your website, the demographics on your website, social media analytics, and much more. If you are working on a Trade Only website, then we have a comprehensive overview for setting up Google Analytics on your VISION dashboard HERE. If you do not have a Trade Only website, you can sign up for a free-trial here. These words probably mean absolutely nothing to you, which is totally understandable. Dashboards: this section allows you to customize the content you want to see and monitor. Add a variety of dashboards by topic (i.e. ‘Social Media Analytics’ or ‘Demographics’), and if you wish, you can make your dashboards ‘private’. Intelligence Events: this section will be your best friend! Intelligence events allows you to set up alerts when your website traffic deviates from the norm. If you haven’t yet set an alert, there is a quite comprehensive overview of this section on your dashboard. Worth the read! Real Time: Monitor activity as it happens on your website. Audience: Learn about who is looking at your website. How old are they? Are they male or female? What do they like to do? These questions and more will be answered by this section. Acquisition: Review your ad campaigns and your website referrals. Just how effective are your ads? And what do you need to adjust? Behavior: So maybe you have lots of website traffic, but you aren’t getting any leads. See how people interact with your website and your content in this section. Conversions: This section is broken up into the following sub-sections: goals, eCommerce, multi-channel funnels, and attribution. The eCommerce sub-section allows you to analyze consumer trends on your site. The multi-channel funnel allows you to see your business from an eagle-eye view: how are your sales, marketing, and customer service channels creating leads and conversions? The Devil is in the details, which is why you need to make sure you are optimizing your Google Analytics account for maximum effectiveness. These quick tips will help you do just that. Sessions by Browser. Why? Because you need to make sure your website looks just as beautiful on Chrome as it does on Firefix. Or vice versa. If the majority of your website visitors are coming from Safari, then you need to speak with your web developer and make adjustments where necessary. Average Duration and Pages. This one may be obvious, but you really want to make sure you know which pages are your most popular and how long people spend on specific pages. The more information you have at your fingertips, the better business and marketing decisions you can make. The last thing you want to do is put money towards a specific page on your website that gets little to no views. Keyword popularity. Which keywords are drawing people to your website? If you know what keywords are sending people to your website, you can then leverage these keywords in all of your marketing campaigns. Bounce Rate. If people just aren’t interested in your website, your website’s bounce rate will be high. A bounce rate defines how many people are simply landing on your website and not clicking a second time to explore your products and services. Just because there is a lot of traffic to your website does not mean that you are interesting prospective customers. Depth of Visit. How interested are your website visitors? The depth of visit shows you how involved your website visitors are, and which pages are specifically interesting them. Traffic Sources. Where are your customers coming from? If you know where they’re coming from, you can optimize the platform (if it is a particular social media platform), or cater your time and energy onto the highest traffic source. Top Exit pages. Eek! Exit is never a good word on Google Analytics. But we guarantee you have a particular page that really turns people off. It’s okay, it happens to everyone. Monitor which pages are the highest ‘exit’ pages, and either optimize them on your site or delete them and transfer data. For more information, you can email parris.wells@tradeonly.com or you can simply fill out the form below with any questions you may have about the topic or our services. Our Director of Digital Marketing, Parris Wells, will be hosting a Google Analytics webinar at the end of the month! Keep your ears perked for future dates!